Obamacare is a nickname for the Patient Protection and Affordable Care Act (ACA or PPACA). Before the ACA premium costs and uninsured rates were rising and people could be denied coverage based on a preexisting condition and be charged more based on gender. Today, under the ACA, more people are covered and more people have access to affordable quality health care. Find out everything you need to about health care law commonly called ObamaCare but officially called the Patient Protection and Affordable Care Act of 2010 below. FACT: The uninsured rate fell to the lowest rate in recent history under the Affordable Care Act with over 20 million covered under all the Affordable Care Act’s coverage provisions (including Medicaid expansion, Marketplace coverage, the expansion of employer coverage, and young adults staying on their parents’ plan until 26). Further, between 2010 and 2016 the Affordable Care Act helped lower personal bankruptcies by nearly 50%! These are just a few example of the ways in which ObamaCare is working… of course, as we noted below, ObamaCare also has its sticking points too. NOTE: I am the author of ObamaCareFacts.com. This information is complied for that site and adopted to this site. The idea is simply to provide facts about the Affordable Care Act (as a fact site, I think this is on target and helpful enough). Feel free to ask questions below. Unless you get covered through an employer, Medicare, or Medicaid, you’ll need to shop for health insurance during open enrollment if you want comprehensive health coverage. Outside of open enrollment options are limited to short term coverage, other plan types, and relying on special enrollment. Although you won’t get penalized for not getting covered in most states, open enrollment is the only time you can get coverage that qualifies for cost assistance and get coverage that offers all the benefits, rights, and protections of the Affordable Care Act. Luckily, getting covered and finding out if you qualify for cost assistance is as simple as going HealthCare.Gov during open enrollment and enrolling in a marketplace plan (or finding a private health insurance broker who can help you sign up for a marketplace plan). NOTE: Enrollment may be extended in the Federal marketplace and/or in state marketplaces each year. Shop for coverage with cost assistance at HealthCare.Gov, the official marketplace. They will redirect to your state’s marketplace (if your state runs one) and also let you know if you or a family member qualifies for Medicaid/CHIP. Meanwhile, if you get coverage through your employer or Medicare, make sure to sign up with them during their open enrollment period. If you don’t want to use the marketplace, you can contact a private health insurance broker and have them help you sign up for a marketplace plan and review your other options. We offer the details on cost assistance below, but the gist is to qualify for cost assistance based on income you must either qualify for Medicaid/CHIP or shop on the health insurance marketplace (HealthCare.gov or your state marketplace). See the details on assistance below. You can only shop for marketplace plans during open enrollment unless you qualify for a special enrollment period. The federal mandate’s fee was reduced to zero for 2019 forward. In a state with a mandate there is also a fee for not having coverage. This fee is paid to the state, not the federal government. “ObamaCare” is a nickname for the Patient Protection and Affordable Care Act of 2010 (PPACA). The law is often called the Affordable Care Act (ACA) for short. FACT: The Affordable Care Act was signed into law to reform the healthcare industry by President Barack Obama on March 23, 2010, the and upheld by the Supreme Court on June 28, 2012. The aim of the ACA is really found in its title. The goal is Affordable Care and patient protections, because before the ACA patient lacked protections like preexisting conditions protections and in many cases lacked affordable care due to income or being sick in the past. The Affordable Care Act’s goal is to give more Americans access to affordable, quality health insurance and to reduce the growth in U.S. health care spending. The Affordable Care Act aims to accomplish its goal of expanding the affordability, quality, and availability of private and public health insurance through consumer protections, regulations, subsidies, taxes, insurance exchanges, and other reforms. Offering Americans some new benefits, rights, and protections in regards to their healthcare. Expanding Medicaid to all adults in states that embraced the program. Requiring most people to have coverage, get an exemption, or pay a fee for each month. Introducing new taxes and tax breaks. Letting young adults stay on their parents’ plan until 26. Stopping insurance companies from denying you coverage or charging you more based on health status. Stopping insurance companies from dropping you when you are sick or if you make an honest mistake on your application. Stopping insurance companies from imposing unjustified rate hikes. Doing away with lifetime and annual dollar limits. Giving you the right to a rapid appeal of insurance company decisions. Expanding coverage to tens of millions by subsidizing health insurance costs through the Health Insurance Marketplaces (HealthCare.Gov and the state-run Marketplaces). Providing tax breaks to small businesses for offering health insurance to their employees. Requiring large businesses to insure employees. Requiring all insurers to cover people with pre-existing conditions. Making CHIP easier for kids to get. Ensuring all plans cover minimum benefits like limits on cost sharing and ten essential benefits including free preventive care, OB-GYN services with no referrals, free birth control, and coverage for emergency room visits out-of-network. 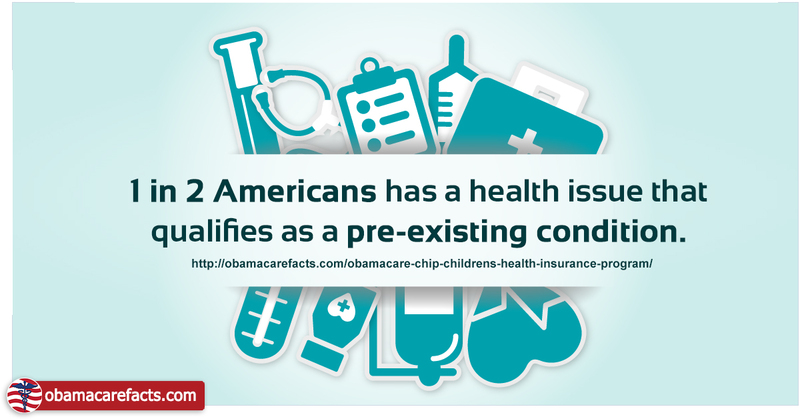 OBAMACARE FACT: Roughly 1 in 2 Americans technically have a “preexisting” condition according to a a 2011 estimate done by HHS. That means half of us have a condition that we technically could have been charged more for or even denied coverage for in some states before the Affordable Care Act. The ACA chipped away at preexisting conditions until 2014 when discrimination against them by insurers was banned. Today preexisting conditions are no longer a barrier to insurance coverage for anyone, including high-risk customers. This means you can no longer be denied coverage or treatment or be charged more due to your health status. This is just one of many things the Affordable Care Act did and still doing today. For 2018-2019 there are three main things to consider. 1. Getting covered during open enrollment (as covered above), 2. making sure you are ready to file your taxes as they relate to healthcare at tax time, and 3. keeping an eye on the latest healthcare reform news (such as repeal and replace efforts). With that in mind, here are some essential facts related to the above points for 2018 – 2019 (some of these points were already noted above, but they are reinforced here with some extra helpful links). ObamaCare’s 2019 Open Enrollment period for 2019 health plans starts November 1, 2018, and ends December 15, 2018. HealthCare.Gov is the official website to use if you want to lower costs on private health insurance and qualify for Medicaid under the Affordable Care Act! Make sure to shop during open enrollment for coverage inside or Outside the marketplace. Options outside of open enrollment are limited to Short-Term Health Insurance, Medicaid, and CHIP. Keep in mind employer coverage and Medicare have unique enrollment periods. Learn more about enrollment periods. If you are getting cost assistance and your income changes throughout the year, make sure to update the Marketplace if your income or family size changes. If you take too many or too few of Advanced Premium Tax Credits, you’ll have to adjust them at tax time using form 8962. Despite rate increases, many families will be able to get a plan for less than $75, and 8 out of 10 less than $100! This is primarily because the ACA’s Advanced Premium Tax Credits cap premiums based on “household income and family size.” Learn more about how cost assistance works with the Affordable Care Act. What Has Changed For 2018 – 2019? A lot has changed with ObamaCare for 2018 – 2019. Changes include the mandate being repealed, short term coverage being expanded, budget cuts, and premium rate drops. Starting January 1st, 2019, the federal ACA tax penalty for not having health insurance coverage officially goes away. Consumer warning, some states may take measures on a state level to reverse this. Make sure to check if your state will have a mandate in 2019 or beyond. TIP: Remember to start your journey at HealthCare.Gov. Pros: ObamaCare (the Affordable Care Act or ACA) contains many benefits, especially for low and middle-income families and small businesses. This includes tax credits for health insurance premiums and out-of-pocket cost assistance based on income, the expansion of Medicaid to low-income adults, letting children stay on their parents plan until 26, the mandate for large employers to cover employees, the expansion of consumer protections like guaranteed coverage for pre-existing conditions and the elimination of gender discrimination, and more. Cons: ObamaCare contains some obstacles for high earners, those who had been healthy and paid low rates in the past, larger firms that didn’t insure their employees before the law, and certain sectors of the healthcare industry. After-all, ObamaCare contains some new taxes and regulations, and this means more costs for some demographics (especially for those who don’t directly benefit from assistance). Tens of millions of uninsured people have access to affordable, high-quality health insurance through Medicaid expansion, their employers, and the Health Insurance Marketplace. To get the money to help insure all these people, there are new taxes (mostly on high-earners and the healthcare industry). The taxes that may affect you directly are the individual mandate and the employer mandate. Over half of uninsured Americans can get free or low-cost health insurance, and some can get help on out-of-pocket costs using their state’s Health Insurance Marketplace. The individual mandate says all Americans who can afford health insurance have to obtain health coverage, get an exemption, or pay a fee. That creates an extra complication with regards to filing taxes. Some folks who just barely miss the Federal Poverty Level limit of 400% are hit the hardest as they don’t qualify for assistance. Those who do get cost assistance will need to adjust tax credits on the 8962 – Premium Tax Credit form. NOTE: The fee for not having coverage is repealed 2019 forward, some states have their own mandate/fee. Over 20 million people were exempt from the fee in 2016. Those with exemptions may still get cost assistance. Exemptions also qualify you for special enrollment. To get many of the exemptions, you’ll need to submit a form to HealthCare.Gov or file the 8965 – Exemptions form. There are now more private coverage options, and all major medical coverage options must provide minimum essential coverage. More options mean more complicated shopping for coverage. Keeping a private health insurance system means that shopping for health insurance can be confusing, and consumers risk over-buying or under-buying. Coverage options also, by nature, create a tiered healthcare system where more money equates to a better quality of care. However, in that respect, nothing has changed. ObamaCare’s many protections ensure that you can’t be dropped from coverage when you get sick or make an honest mistake on your application. You also can’t be denied coverage or treatment for being sick or get charged more for being sick. Additionally, you can’t be charged more for being a woman. Other protections ensure that you have the right to a rapid appeal, that health insurance companies can’t make unjustified rate hikes, and that these companies must spend the majority of premium dollars on care, not paying executives. Insurance companies must cover sick people, and this increases the cost of everyone’s insurance. To ensure people don’t just buy coverage when they need it, most people must obtain coverage or pay a per-month fee. Also, you can only get coverage during annual open enrollment periods. You can owe the fee due to forgetting to pay a premium, and then not be able to get coverage until next open enrollment. Some people benefited from being in a low-risk group. Men in good health with no pre-existing conditions, who were not responsible for anyone but themselves, and who remained healthy had low insurance costs. They may have had cheap limited coverage before the premium hikes took place in 2014. All major medical coverage must count as minimum essential coverage. This means that coverage must offer the ACA/ObamaCare’s protections, cover essential health benefits such as free preventative services, limit deductibles and out-of-pocket maximums, provide minimum actuarial value, and not have annual or lifetime dollar limits. Minimum essential coverage can only be obtained during open enrollment unless you qualify for a special enrollment period. Those who don’t understand how to compare plans or didn’t have coverage before the ACA may be shocked by how cost sharing works on higher deductible plans. Also many may get non-minimum essential coverage like short term insurance because of their confusion. ObamaCare, the ACA, includes some cost-curbing measures, which led to health care spending growing at the slowest rate on record (since 1960) in 2014. Meanwhile, health care price inflation is at its lowest rate in 50 years. Unfortunately, even though the costs are increasing more slowly than they might have, health care costs are steadily increasing. The law also includes spending. Upfront spending and more regulation are required to realize long-term cost-curbing measures. Medicaid has expanded to cover up to 15.9 million men, women, and children who fall below 138% of the poverty level. Medicaid expanded using Federal and State funding. Not all States had to expand Medicaid. The states that have chosen not to expand Medicaid leave 5.7 million of our nations’ poorest people without coverage options. CHIP has expanded to cover up to 9 million children. CHIP also uses Federal and State funding. The employer mandate says that starting 2015/2016, businesses with the equivalent of more than 50 full-time employees must provide health coverage. In anticipation of the employer mandate, some businesses cut employee hours. This added extra operation costs to businesses that did not provide health insurance. Many lower wage employees find health insurance unaffordable and end up with no affordable options due to having been offered coverage through work (see below). Small businesses with less than 25 full-time equivalent employees can get tax credits for up to 50% of their employees’ health insurance premium costs. Employee health benefits can be expensive. Lower wage workers may end up getting better value through the marketplace, but having employer-sponsored coverage means that they can’t get cost assistance. Also, dependents of employees with coverage are unable to use the marketplace. Young Adults can stay on their parents’ plan until 26 and 82% of uninsured adults will qualify for free or low-cost insurance. Insurance helps everyone get healthcare and protects them in an emergency. Young adult’s uninsured rates have dropped 46% (HHS). Young people tend to be healthy and not to need coverage as often as older Americans. However, due to low premiums and the benefits of having a plan, young people have some of the best deals of anyone under the ACA when purchasing care. Medicare has improved for Seniors by measures that eliminate the donut hole, keep rates down, cut wasteful spending and fraud, and expand free preventive services. Some Medicare payments to doctors and hospitals have been limited. Medicare pays doctors according to a fee schedule. Its rates have led to very complex problems that are driving the costs of health care up for everyone. Also, retaining supplemental Medicare options involves confusing options for seniors. The unfounded death panel rumor led to cutting out an important provision in the law that would have provided end-of-life counseling. The ACA, ObamaCare, retrains a free market semi-private healthcare system and thus still allows our $3 trillion dollar healthcare industry to thrive. Retaining a for-profit healthcare system has economic benefits, but it also means that every aspect of the system requires making a profit. Americans have higher health care costs than other countries, which have more “universal” healthcare systems. “Patient Protection and Affordable Care Act“. Wikipedia.Com. “The Official Health Insurance Marketplace Website – HealthCare.Gov“. HealthCare.Gov. “Read the Affordable Care Act“. HealthCare.Gov. Obamacare, although it was a significant improvement over what existed before for a segemt of people who had conditions that set them up for either not getting insurance at all, or what might be even worse, “post claim underwriting” which is insurance companies making efforts to disqualify them after they got sick and made a claim. That is likely to come back. But, last I looked, Obamacare seemed to me to have barely made a dent in the numbers of uninsured or overall health care affordability. It seemed to me that Obamacare’s main purpose was to prevent health care costs from falling. You should also know that it was never able to get traction because it violated a ‘satndstill clause’ a WTO rule that the US itself helped write in the Understanding on Commitments in Financial Services. And several others. So, the promises being made about pre-existing conditions are unlikely to be kept. We’re just watchiing a theatrical performance. Tens of millions who didn’t have coverage before the ACA were covered under all coverage provisions (Medicaid expansion, marketplace assistance, young adults staying on plans, employer coverage expansion, etc). The uninsured rate fell to the lowest rates in recent history under the ACA. If the ACA is struck down in the courts we have tens of millions at risk of losing coverage and many people each year at risk of being denied or charged more based on health status or charged more based on gender. Was the ACA perfect? No? Is it important that we have the ACA or better in the US? I would say so.